In 1859, the Education Commissioners of the British Parliament's House of Commons inquired of many prominent British personalities into the manner of popular education in England at the time. They hoped that in this way they could keep an ear to the ground and improve education for all classes. Don't judge him too harshly. He could hardly avoid being a man of 1860, and beside, read the full context. He's actually advocating a very good and comprehensive education, even if he knows it must end at age 14. And much more. Worth a read, as are many of the other responses, although none are of specifically Jewish interest. 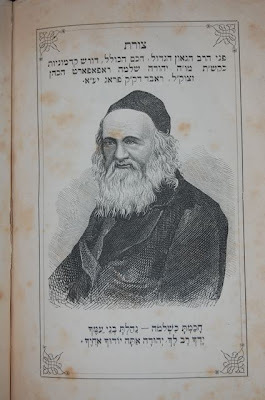 Incidentally, several volumes of R. Adler's edition of a Mikra Gedolah Chumash, printed in Vilna, the Toras Elohim (with Pathshegen on Targum Onqelos, as well as his own Targum commentary the Nesina L'ger) are now available for your pleasure. Rav Gifter used to write Hashkofo articles in this publication? And, K? What's a K? The Jewish Observer, we hardly knew ye. Cursive was sometimes used as a book hand when, of course, more care was taken with the writing. But this did not involve an approximation to the square; it led to elaboration and ornamentality of a different kind, and thus to the shaping of a new style, the mashait script (incorrectly designated "rabbinic"). The usual, but incorrect, designation for it is "Rashi script," obviously because *Rashi's commentaries on the Bible and Talmud – the books which everybody was constantly handling from boyhood to old age – were printed in (Sephardic) mashait. Rashi himself, naturally, wrote in Ẓarphatic (see below). There are things to quibble with in the above, but as a standing description it will do. Why do scholars call the script mashait? They are following the original name that this script was known in days gone by. As you can see, his entry has it as "mashqeit." He was informed that it was Arabic, but after inquiry learned that was not the case. He asked many Jews of different ethnicities; Italians, French, Spanish, Greek and Arab. All used the name, but not could explain it's meaning. He further informs that Ashkenazim call it "masheit," and of course they do not know why either. As it turns out, there is another place where Levita discusses the word, in a letter written in 1531 to Sebastian Muenster ("איש נבון וחכם אדוני זיבאשטיאנוש מונשטירוש"). Published by Moritz Peritz in MGWJ 1894 pp. 252-267). Here he claimed that משקיט is definitely Arabic and means small and thin, a reference to the alphabet's appearance (relative to the normal square Hebrew, one presumes). I'm not sure when the Tishby was written, although I know (via C.D. Ginsburg) that Tishby was one of three manuscripts Levita took with him when he moved from Venice to Isny (1540). In any case, I am pretty sure it was written after 1531 (date of the letter to Muenster). It would be nice to know precisely what led him to change his mind about it being Arabic. Among Sefardim the script is called משקא, משקייט, משקיט, משקי ,מאשק and משק, as well as other names which are not relevant because they are entirely different names. Among Ashkenazic sources, the following variants are found: משיט, משיטא, משייט, מעשיט, משטיט, גימשיט, מעשוט and משיטה. Interestingly enough, this source is not Ashkenazic, רדב"ז having been born in Spain in 1479. After the Spanish exile, he spent the rest of his life in Morocco, Egypt and Eretz Yisrael. In any case, I see no reason why it can't also be called Rashi script. It might be a quirk of history that it has no true association with Rashi, but what a fitting honor that the Rabbinical script came to be known after him! How should one spell Methuselah? Too good not to read. As you can see, the playwright Charles Mathews was criticized for having a character called Methusalem in his play Ringdoves. I would love to have seen the original criticism, but alas, I have not. Mathews, by the way, was a comedian, in case it wasn't obvious from his reply (as it might not have been to M.H.S. ). 1) Benjamin Blayney's edition of the Samaritan Pentateuch in Hebrew letters, Pentateuchus hebreao-samaritanus, charactere hebraeo-chaldaico, 1790. 2) Transactions of the Parisian Sanhedrim (not a typo), 1807. 3) The American Hebrew issues of 1896. 5) The original 1839 edition of Ha-kesav ve-ha-kabbalah; same commentary, different introduction. 6) Torah She-be'al Peh, subtitled "Is the Oral Law of Divine Origin and Therefore Binding Upon the Jews? 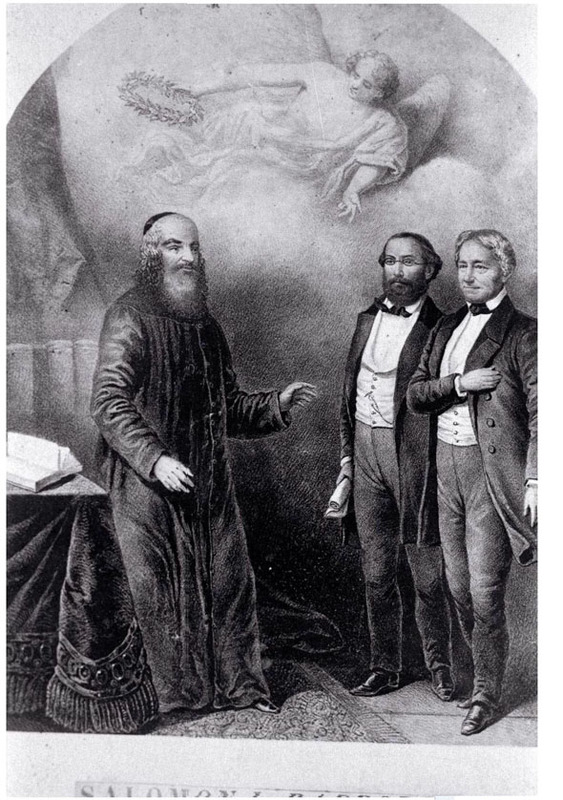 ", 1842, by an anonymous British would-be Reformer of Judaism. However, Cecil Roth revealed that the author was Benjamin Elkin. This book is bound together with some highly interesting materials, not to be missed. 7) If your French is good, enjoy this discussion from 1782 which mentions the Chida ("du rabbin Haim-Joseph Azulai") and Noda Be-yehuda ("Ezechiel Lande, grand rabbin de Pragues") (link). Actually, I love appearances of English in old books in other languages. I always wonder if the author knew English or was just pretending. In Romanelli's case, I truly don't know. He is primarily known for his adventures in Morocco. Read about him here. 9) Three volumes (so far) of Joh. Chris. Wolff's landmark Bibliotheca Hebraea, 1720s-30s. 10) The most famous 19th century Karaite Abraham Firkowitsch's Masah u-meriva, 1838. Interesting in itself, but people who enjoy lists will love the appended list of subscribers, perhaps two hundred Karaites. It would have been nice to find a name like "Akiva" slipped in, but true to form, every name is Biblical, or at least neutral ("Simcha" is quite popular). However, there are a couple of Rabbanites snuck in there, or at least that's what I suspect. You tell me what "Yosef Sissmann ben Simcha Rothmann" sounds like. "It is a prohibited to study Hebrew and the Bible" -- a Crimean story from 1892, with an encounter with the Sde Chemed. During the 19th century the following trope appears about the Jewish masses (and Talmud scholars) of Eastern Europe: that the study of the Bible and Hebrew language was not only neglected, but frowned upon at best and regarded as downright heretical at worst. Like many stereotypes, this was both exaggerated as well as partly (some would say largely) true. In actual fact, neglect of Talmud and halakhah study in favor of Bible and Hebrew language study was regarded as an unworthy use of time and was frowned upon. The study of Scripture in new ways and without the aid of a specific canon of 'authorized' interpreters was viewed with suspicion by many. On the other hand, some of the most vital Jewish Bible exegesis in centuries came from highly traditionalist sources in the 19th century, from within exactly those societies where mastery of Bible and Hebrew was suspected. The reason for this suspicion, to the extent that it did exist, was threefold. One, a historic Ashkenazic ambivalence toward spending any significant amount of time in study that was not related to Talmud and halakhah. Traces of this can be found in the accepted interpretation of the Talmudic expression מנעו בניכם מן ההגיון (Berachos 28b; mentioned in the article below). Rashi regards הגיון as too much Bible study. Rabbenu Tam famously permitted the neglect of Bible study, seemingly, by defining Talmud study as encompassing Bible, Mishnah and Talmud (and therefore one could fulfill the Talmudic dictum that one should divide one's study in thirds). In view of the fact that both Rashi and Rabbenu Tam were masters of the Bible and Hebrew language, no one should regard the simple meaning of their words as prescriptive, and besides, other interpretations have been offered. For example, perhaps Rashi meant that "too much Bible" is more than its allotted third of one's time. 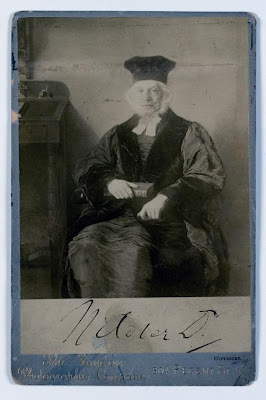 Mendelssohn proposed, without evidence, that Rashi meant the detailed study of massoretic minutiae, such that one shouldn't spend most of one's time delving into Bible text criticism of the sort that exults in making discoveries about a single letter. In any case, Rabbenu Tam certainly did not envision ignorance of the content of the Bible or the language. His suggestion is that Talmud study encompasses both of these (along with "Mishnah"), and certainly one who possessed neither is deficient in his Talmud study; obviously he wasn't suggesting one pretend that ignorance of the subjects is acceptable, so long as one spends the time studying the Talmud. It sounds like he's describing a professor at Bresslau or the Hebrew University, but he died in 1640! These examples can be multiplied. On the other hand, in general the rabbinic literature from this period certainly shows mastery of, or at least familiarity with, Hebrew language and Bible. In addition, until Hebraists of the caliber of Sebastian Muenster and the Buxtorfs established Christian independence in Hebrew studies, instruction from Jewish teachers and books were a necessity, and these were never in short supply. In short, the neglect and de-emphasis of Bible and formal Hebrew study was only relatively speaking, but neither was it a complete myth. The second reason, was the rise of a class of modern Jewish Bible scholars (ie, maskilim) and their struggle with the old order and rabbinic class. The more serious study of the Bible and its language was adopted by those viewed as outside or hostile to the tradition, the more it was suspected and neglected on principle. A subset of this reason was missionary activity among Jews and the distribution of Hebrew Bibles printed without an authorized rabbinic commentary like Rashi. In short, study of the Bible and its language was no longer associated with piety. The third reason, I'll save for the comments. In any case, on one point both maskilim and missionaries were in agreement: that the Jews purposely neglected these subjects, because if they had cultivated them then they would have no choice but to adopt their respective points of view. Numerous maskilic writings testify to personal experiences from their youth of getting in trouble or accused of heresy for being discovered reading this or that Bible commentary or book of Hebrew grammar. Furthermore, one of their chief complaints against their greatest antagonists, Hasidic society, was that ignorance of Bible and Hebrew was itself regarded as a pious act! Although there is no question that there is some, perhaps even much, truth to these testimonies--and in fact plenty of people today, in 2009, can testify to this attitude from their own personal experiences--many of them seem to be exaggerated or even parodic. For example, in SJ Fuenn's Ha-karmel (#49, 1861) a letter appears from a writer living in Uman. He writes that he is intellectually lonely, everyone around him regards someone who reads a newspaper as a heretic, one would be persecuted if seen reading from a Chumash with Biur (ie, Mendelssohn's edition). None of this seems in any way implausible, however in the 7th issue of the paper in 1862 a reply from people in Uman appears, which defends the honor of the townspeople as pious and upstanding individuals who certainly adhere to the rabbinic dictum שאסור לאדם ללמד את בנו מקרא! Being that this is a) not true and b) a parody of a true (and some would say highly unfortunate) rabbinic statement I conclude that the writer of that letter was not of the simple pious townsmen of Uman, but making fun of them. (Fake letters to the editor weren't invented by the Yated.) If this seems obvious to the reader, it didn't seem obvious to the original readers of Ha-karmel, nor to Israel Zinberg, who takes it at face value! As for Christian missionaries, their journals were full of notices in this regard. So it is below that I reproduce a translation of a page from Yehuda Leib Gordon's newspaper Ha-meliz. This appears in the Jewish Missionary Intelligencer published by the London Society for Promoting Christianity Amongst the Jews. The article was written by Tzvi Kasdoi (1862-1937), then a Jewish traveler in the Crimea. 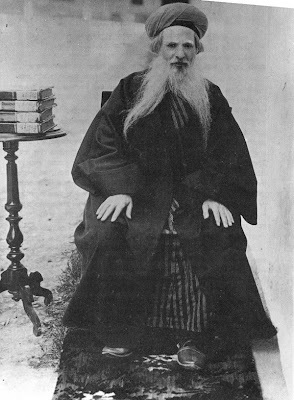 He discusses an encounter at the home of one of the most celebrated rabbis of the late 19th-early 20th centuries, R. Chaim Chizkiyahu Medini, a Jerusalem rabbi who spent many years in Crimea ministering to the local Jews (who were known as Krymchaks) who had been largely ignorant of how to properly practice traditional Judaism. He personally taught them and raised their level of observance. In addition, as readers surely know, he is famous for writing the encyclopedic Sde Chemed. 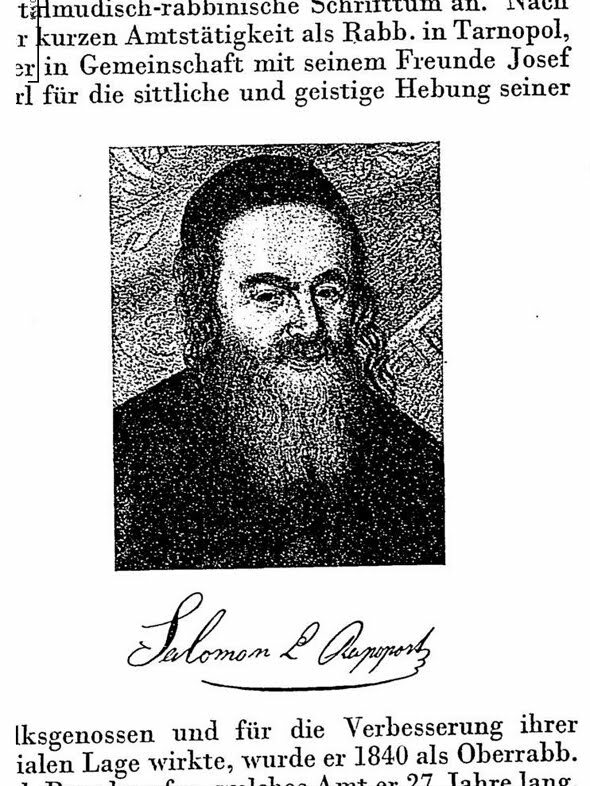 As a preface I will note that he was a renaissance sort of rabbi and it is very difficult to square the attitude below with the historic Hacham Medini (although I will offer a couple of suggestions below). Download שדי חמד I, II, III, IV, V, VI, VII, VIII and IX. Could this be true? There are three possibilities: total untruth, partial truth and completely true. As I said, it is hard to square this with the historical author of the Sde Chemed. If it is entirely true, I might suggest that this was something he was teaching to the ignorant population in his charge while he was trying to strengthen their faith and knowledge of Jewish tradition, and probably to insulate them from Christian missionaries. If so, then this was a kind of horaah shaah. Not necessarily any less shocking, or even outrageous, but at least that's an explanation. If entirely false, nothing more need said except that it is hard to believe that--the writer quotes him and asserts it is a direct quote--לשונו ממש! The editor of Ha-meliz was Yehuda Leib Gordon, who had a major bone to pick with Orthodox rabbis who were moderately touched by Haskalah. It seems that he regarded them not as moderates, but as radical, reactionary, fundamentalists. It was in that spirit that he brutally skewered R. Yosef Zechariah Stern as the cruel "Vafsi Ha-kuzari" who would allow a Jewish women to be chained as an agunah because of a missing jot in the smallest of letters in her bill of divorce (the poem is called Kotzo shel yud). Yet R. Stern was actually not a great representative of fanatical Orthodoxy at all. Similarly, R. Medini quotes Haskalah sources in his Sde Chemed, was personally friendly with maskilim, etc. Perhaps Gordon ran the article as written because it placed Medini in just such a context that made him look bad, and that was fine because he did not like rabbis of Medini's ilk. A final possibility is that Medini's student was, well, a dope and did not accurately represent his views. However, Medini himself responded as he did without really having heard the conversation between Kasdoi and the student, except in the retelling. Then, sizing Kasdoi up as he did (fairly or not) he responded with a spirited defense of traditional Judaism. Finally, lest readers accuse me of apologetic tendencies, it is surely possible that the story occurs in all it's exact detailing and it means just what it means. All in all, how interesting! This is cool. Like the title says, it's the catalog for the most famous Jewish printing press of the 19th and 20th centuries.